Fashion Herald: Coming Soon: Macy's Herald Square Friends & Family Sale! Coming Soon: Macy's Herald Square Friends & Family Sale! 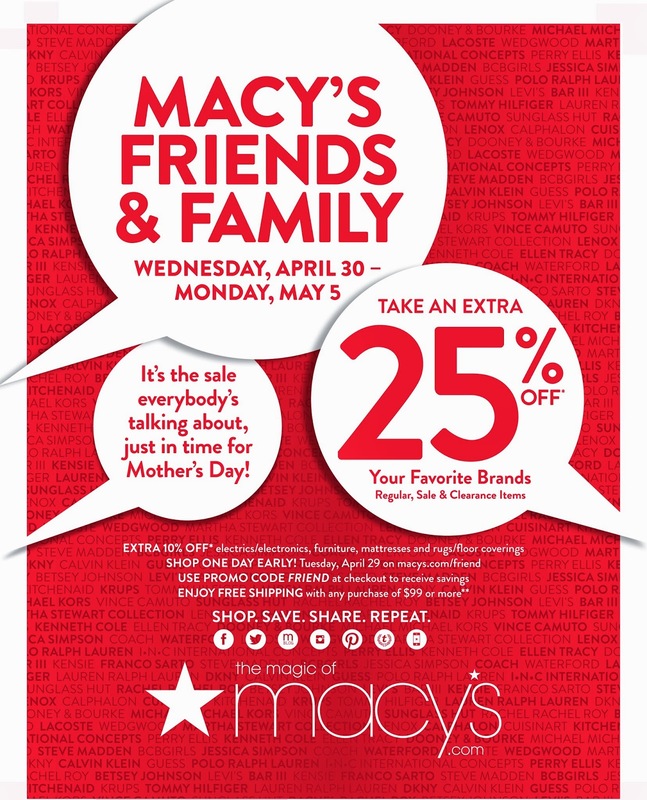 Heads up: Next week is Macy's Herald Square Friend's & Family sale! Mark your calendar, start planning your shopping strat, OR take advantage of pre-sale now. If you want to shop before next Wednesday, just inquire with your sales associate who will give you the F&F discount and hold your items until the 30th. Also, if you prefer, associates can ship purchases to your home once the sale begins. See you in Macy's Herald Square next week, friends and family!